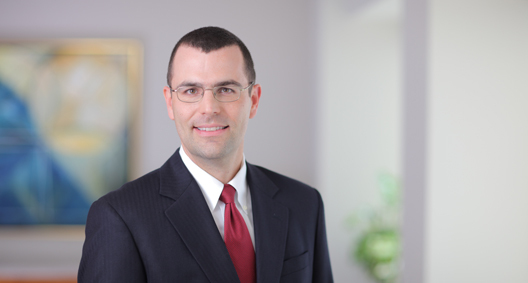 Jim Slater concentrates his practice on complex commercial litigation and has more than 10 years of experience in large, complex litigations at the trial and appellate levels, as well as during arbitration. Jim has particular experience representing financial institutions and dealing with the unique challenges that face clients in such an industry. He also has significant experience in the defense of class actions. Assisted a financial institution in managing potential exposure and liability in connection with its sponsorship of a third-party vendor that experienced one of the largest credit card data breaches in history. Took appeal through payment card regulatory processes and defended the client in a subsequent class action stemming from the breach, which was dismissed on motion. Defended a class action Employee Retirement Income Security Act (ERISA) stock-drop case filed against a financial institution and its upper management. Achieved dismissal of the case for lack of standing by the plaintiffs, which was affirmed on appeal to the Sixth Circuit. Defended a second class action ERISA stock-drop case for the financial institution after the dismissal of the original class action. Obtained dismissal of the case upon a motion based on the decision in the first case. The decision is currently on appeal. Defended an insurance corporation in class actions alleging late personal injury protection payments made to insurers. The case was settled for the client. Defending a manufacturing client in an action brought by the seller of an acquired company for alleged earn-out payments. As one of two lead lawyers on the case, directly supervises others working on the team and is involved in all aspects of the case, as well as all strategic decisions. The matter is currently in the discovery phase. Defending the Federal Deposit Insurance Corp. (FDIC) in its corporate capacity against claims of fraudulent transfer in connection with the failure of a California-based bank. Defended the FDIC in its corporate capacity in an adversary proceeding in the bankruptcy of the holding company of a failed bank. Defended a shareholder derivative suit brought in response to a Food and Drug Administration investigation of the manufacturing facility of a medical equipment manufacturer and distributor. Obtained settlement for the client. Involved in firm-sponsored Legal Aid referral clinics and filed habeas petition on behalf of a client.